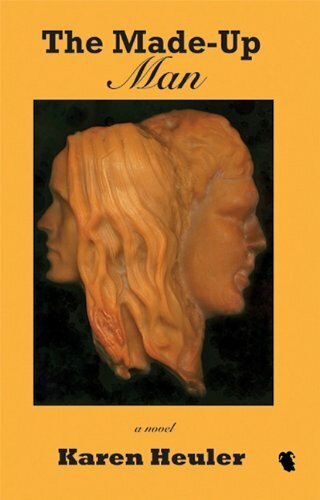 “Though the theme of selling one’s soul is an ancient one, this page-turner is a contemporary look into the moral and psychological implications of one’s cherished desires being manifested in reality.” The Made-Up Man is a book that truly makes us ponder our life choices long after the book’s covers are closed. In our heart of hearts, who among us hasn’t had the fantasy at some point of capturing the attention and recognition of others? People throughout history have had yearnings for acquiring riches, power, undying love—or all of the above. These yearnings often enable people who feel negatively about their lives to continue to strive and move forward, always hoping that something will change for the better. The key question is: What would one do with that power after obtaining it? Would the power be used to help others or would the temptation be greater to wield that same power for the purpose of wreaking havoc in others lives? The quote at the beginning of The Made-Up Man—“E’en hell hath it peculiar laws” (Faust, Part 1)—gives but a small clue as to the plot of the book. No one can imagine the myriad twists and turns that will ensue as this captivating story progresses. As a reader, there is a longing to return to the book at every possible free moment. But what makes The Made-Up Man so unique and captivating? That is an answer that is difficult to articulate because there are so many positive qualities to both the plot and character development. Almost immediately, Author Heuler entices the reader to totally immerse oneself in the storyline. Each character is complex yet interesting in a unique way. But to further explain what makes The Made-Up Man extremely special, let’s set the stage a bit. Imagine being awakened in the wee hours of the night and feeling odd sensations of being caressed over your entire body. After realizing that it’s not a dream but an actual occurrence, one might be terribly frightened. But in The Made-Up Man what transpires as a result of this bizarre incident is a dream come true for Alyson Salky. Alyson has recently experienced a personal nightmare—witnessing a sexual embrace between her boyfriend Peter and her best friend Maggie. After confronting Peter about the incident, he admits to being in love with Maggie and wanting to marry her. Though she misses Peter and Maggie tremendously the first few days, those feelings quickly grow into hatred—for both of them. With all her hopes dashed for a future of marriage and children with Peter, Alyson walks aimlessly for hours. She begins to believe that she is flawed for placing all her hopes on Peter, waiting for him to bring her the happiness she so desperately desires. She also attributes this flaw to being a woman and starts to believe that men have tremendous advantages over women—feelings that make her envious of men’s seemingly casual nature allowing them to leave wives, children, and girlfriends without guilt, being able to capitalize on others’ weaknesses, etc. After all, Alyson has never taken risks or sought out new and better opportunities. She has basically operated on fear now makes her extremely angry. The more contemplation she gives to these thoughts, the more she is convinced that men are the gender to emulate. As fate would have it—and after a few drinks at a bar—she meets Madame Hope, a gypsy fortuneteller, who invites her over for tea. But Madame Hope is no ordinary woman and neither is her home. In the dark abode that has centipedes walking around the floor, something is a bit strange. But Alyson feels drawn to the gypsy. Madame Hope takes Alyson down a stairway to show her the ominous and compelling flames leaping from her furnace, grinning as she shows them off. After a short time in this environment, Alyson becomes mesmerized by the flames. Madame Hope’s response is “They say hell’s like this.” Is this a joke? Or is something wildly amiss in this scenario? With glee, Madame Hope appears to celebrate the choice. But what is the catch? Simply put, Alyson is agreeing to sell her soul for this wish—a final contract with no loopholes. It is this night that Alyson is awakened by the ghostly hands groping at her but it isn’t until morning that she fully realizes what had she has gotten herself into—until she looks in the mirror and sees an Adam’s apple and a stubbly beard on her face. Where she had felt the sensation of hands on her upper torso, her breasts have disappeared. And yes, the full male anatomy has replaced her feminine attributes. So now what will Alyson do with her newfound power? Foremost in her mind is revenge, but how that transpires and what ultimately happens should remain in the closet, lest the dramatic ending ruin the anticipation! Though the theme of selling one’s soul is an ancient one, this page-turner is a contemporary look into the moral and psychological implications of one’s cherished desires being manifested in reality. The Made-Up Man is a book that truly makes us ponder our life choices long after the book’s covers are closed. Laura Schultz’s poetry has been published in such venues as Forth magazine, Writers News Weekly, Abandoned Towers magazine, Empowerment4women.com, and others. Her personal essay entitled “A Poet’s Journey” was published in Coal Hill Review in 2011. Her first poetry book will be released in 2011, and she is currently writing her memoir.